I just wanna dive right in. So refreshing. You don't have to be a fan of Floyd Mayweather to enjoy this drink. But if you are a fan, and you will be watching the fight this weekend, you should really make this drink. It's green, the color of money, money is the name of Mayweather's team (The Money Team), it's May and Cinco de Mayo is right around the corner, which means so are margaritas. Therefore the name: Money May-garitas. If you don't have them you can just use a cup with ice and stir with a spoon. To substitute a jigger, use 2 tablespoons for 1 oz and half a tablespoon for 1/4 oz. Ok, so add ice to whatever the hell you decided to use. Add an oz of tequila, or more if you've had a long day. Or a short day, you don't need to justify this. I used silver tequila but any kind you like is just fine. 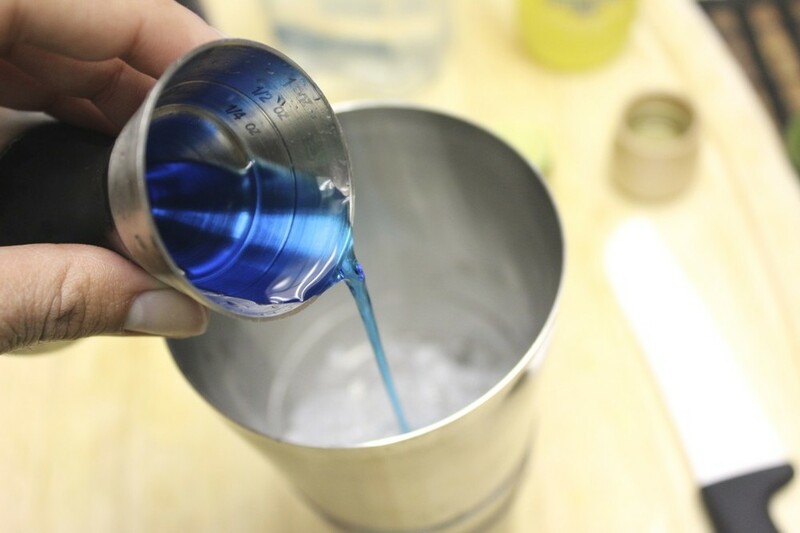 Then add a 1/4 oz of blue curaçao. Don't overdo it, this stuff is pretty potent in taste and in color. Then add 6 oz or 3/4 cup pineapple flavored Jarritos. Jarritos are Mexican sodas found at Mexican markets and most grocers. I know that Wal-Mart sells them too. Finally, the juice of a juicy lime. 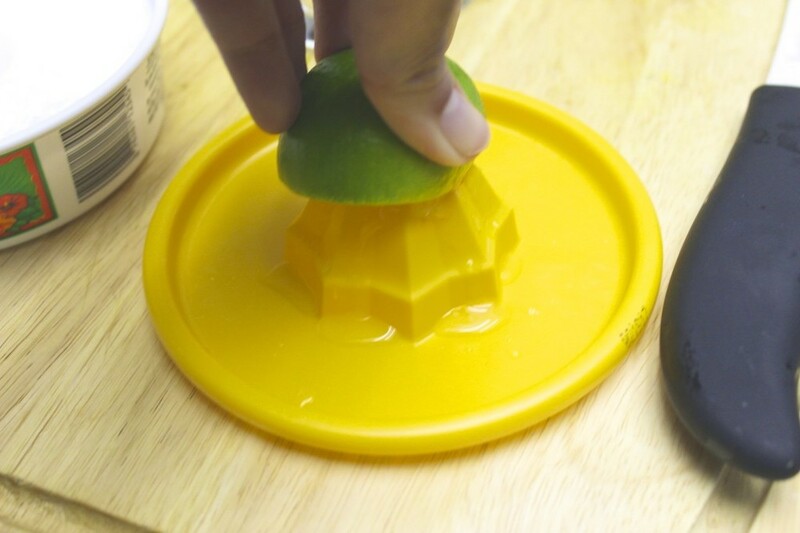 If your lime feels hard press down on it with both hands and roll it back and forth against the counter. That should release some of the juices. Apparently, nuking it helps too. Shake or stir the hell out of the drink and add it to a salt-rimmed and ice-filled glass. Oh man, that looks good. Tastes good too, by the way. I had to taste if for work purposes. 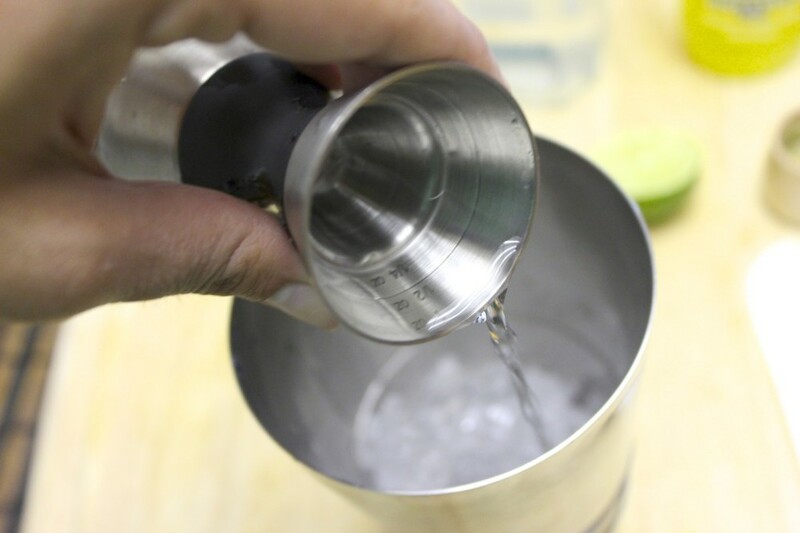 Add ice to a cocktail shaker (or glass). 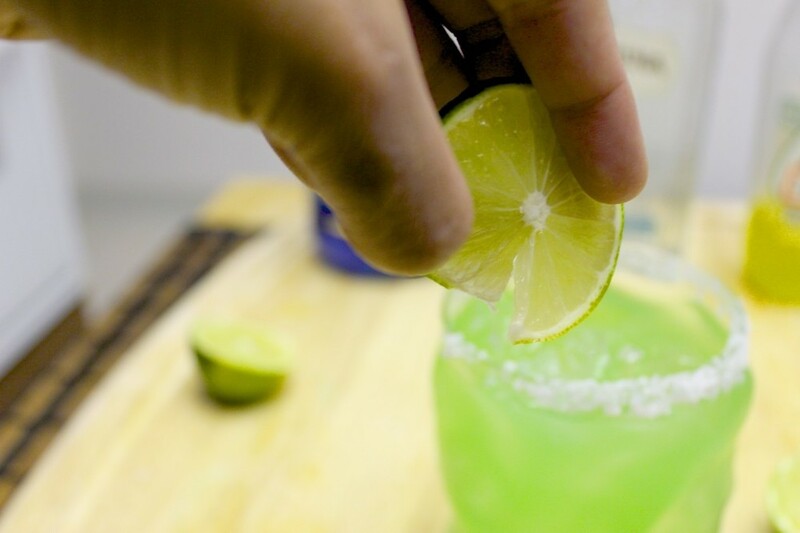 Add the tequila, blue curaçao, Jarritos pineapple and lime juice to the shaker and shake or stir. Depending on if you're channeling James Bond or not. Or if you have a shaker or not. Whatevs. Rim the glass you will be using with salt (wet the rim with lime juice to help the salt adhere), add ice, pour the cocktail from the shaker and garnish with a slice of lime.